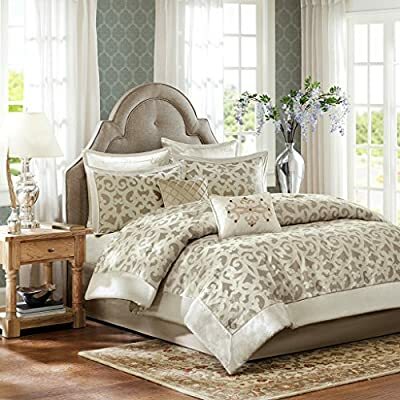 DURABLE & LIGHTWEIGHT – Delicate round floral pinch pleat design embroidered comforter set, easy to match your bedroom decor, offering you an elegant and classic feeling.allows for many years of continued use, highest quality microfiber fabrics and workmanship for long lasting comfort. 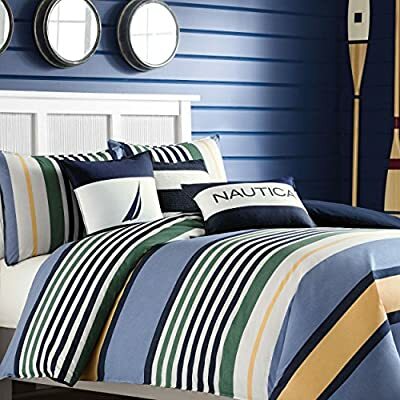 CONSTRUCTION & OVERSIZED – Made of 100% polyester microfiber (Face/Back),100% polyester(Filling),5 piece king comforter set. 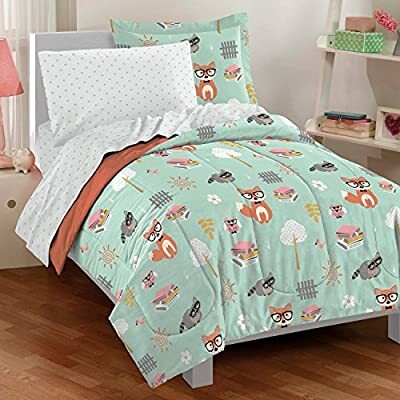 1 comforter (101″ x 86″); 2 sham (20″ x 26″); 1 square pintuck decorative pillow (18″ x 18″); 1 oblong decorative Pillow(12″ x 18″). 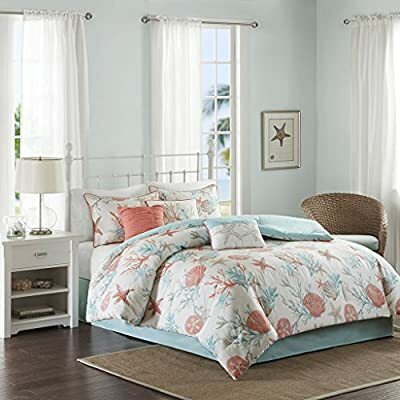 This Lightweight comforter set wraps you in luxurious warmth easily cover all sides and end of your bed,for your most restful night sleep. 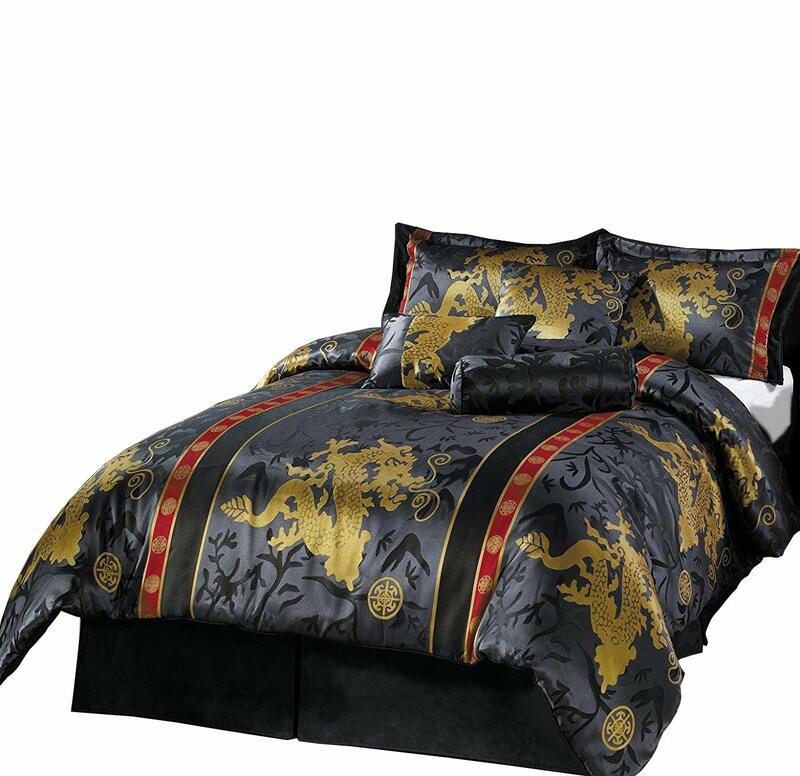 VERSATILE – King comforter set enjoy in the bedroom, guest room, kids room, RV, vacation home. Great gift idea for men and women, boys and girls, kids and teens of all ages! To update your space to a modern look, try the Madison Park Biloxi Collection. Made from polyester jacquard, this unique design is woven to look like sequins. 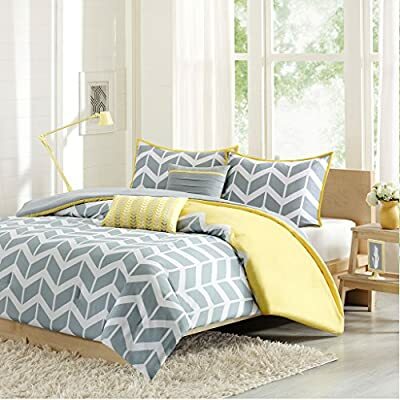 The design has an ombre affect looking heavy in the center of the bed and spreading out towards the top and bottom of the comforter. Two matching shams share this ombre design. Three decorative pillows use unique embroidery and fabric manipulation for the perfect new look for your space. 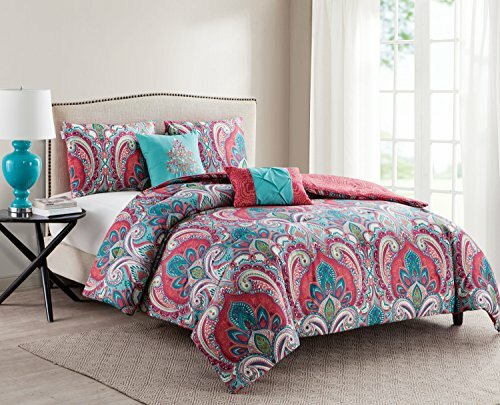 PRODUCT FEATURES -Green ‘Year Round Comforter Set’, features quilted paisley pattern. Two decorative pillows feature fabric manipulation and embroidery details add value while creating a finished look for Tasia collection. 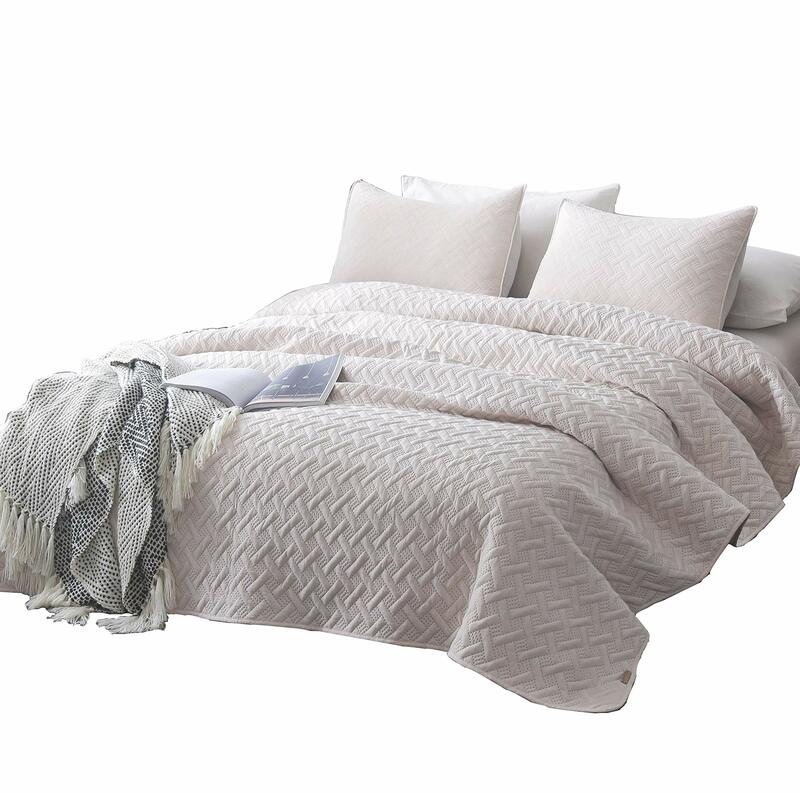 HIGH QUALITY- The quilt bedspread sets is Made with Top quality down alternative filling,Which Got the ECC Certification,Skin-Friendly and Breathable&Warm,The most important is Hydrophillic. EASY CARE -Machine Washable with cold, gentle cycle. Tumble dry on low settings.Our quilt coverlets set is pre-washed and is extremely easy to care. 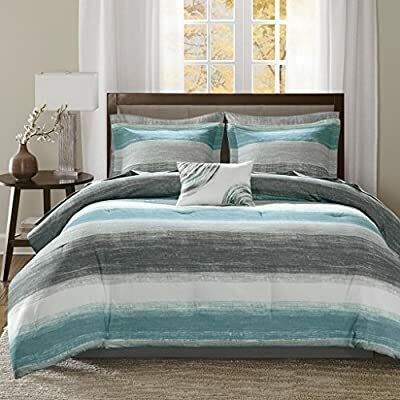 PRODUCT FEATURES – Teal and Grey bedding comforter set, features printed damask pattern. 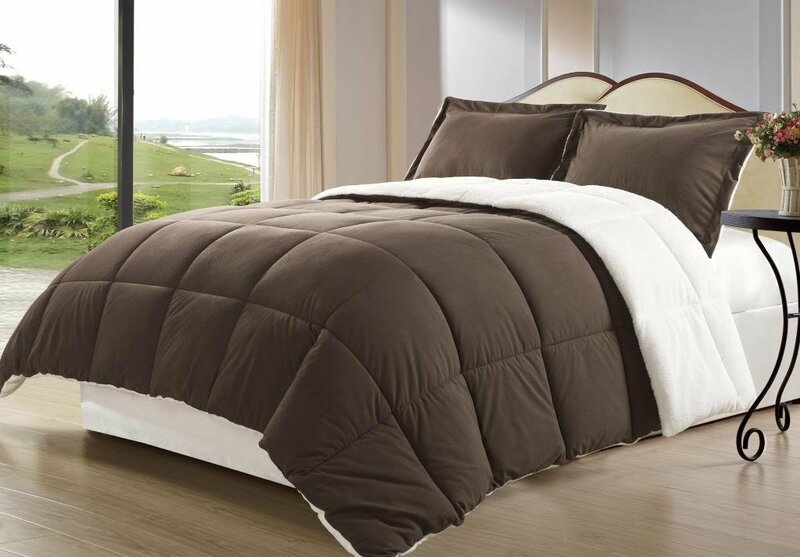 The cover is made with 100% soft brushed microfiber, giving the comforter a crisp and cool feel. 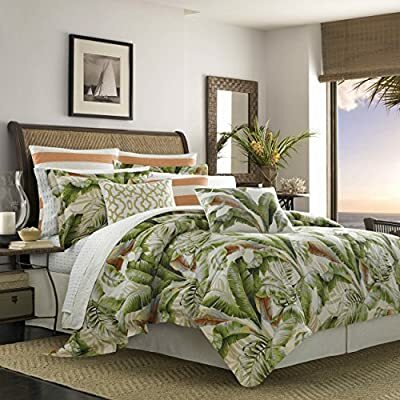 PACKAGE INCLUDES – 1 all season lightweight Comforter, 1 Sham, 1 Decorative Pillow. 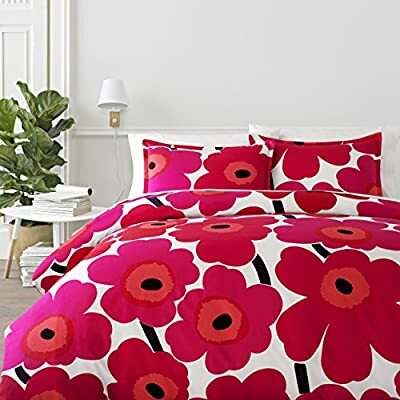 Our allergen-free comforter offers year-round comfort adding convience to fashion. 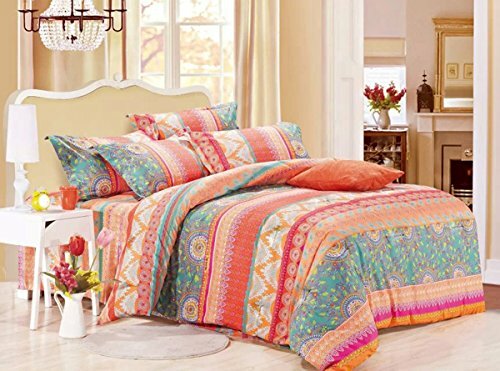 【Design】Bohemian and hippie inspired, orange coral boho chic style pattern print. Simple modern gift for teens, boys, girls, men or women. 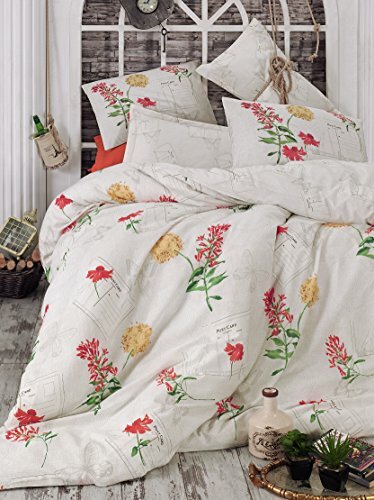 【Set】1 comforter 90×90 inches (queen size), 2 pillow cases 20×26 inches. 【Material】100% soft microfiber, durable, hypoallergenic, wrinkle-resistant, fade-resistant and machine washable. 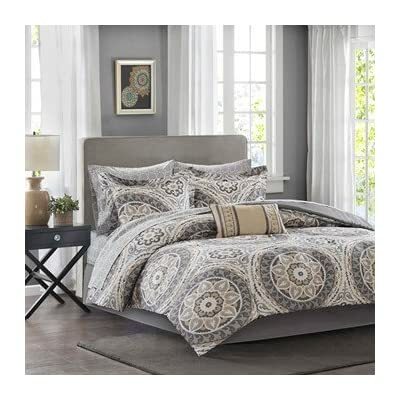 PRODUCT FEATURES -Grey ‘Year Round Comforter Set’, features printed Damask pattern. Two decorative pillows feature fabric manipulation and a geometric embroidery design to add look to Tanya collection.